The Rural Hotel Pinares de Soria (4 stars) is a newly built building which is rented entirely or by rooms. 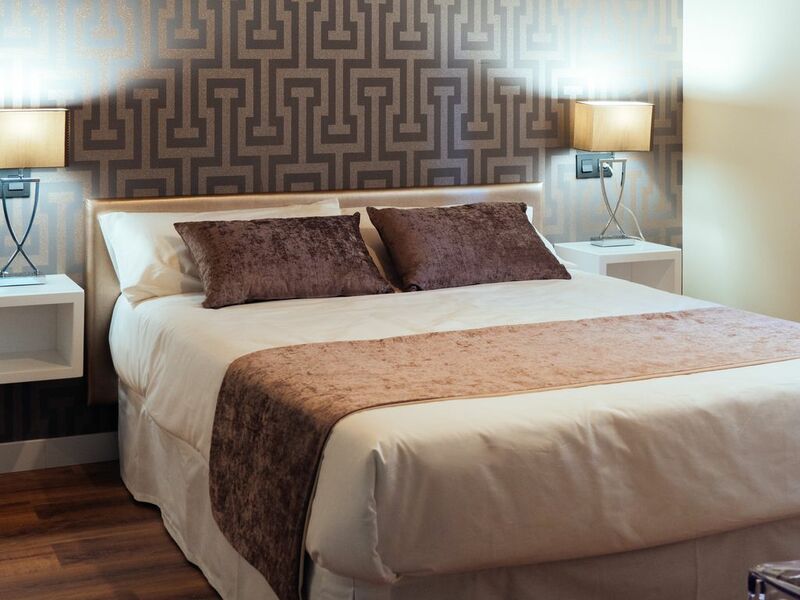 Located in the heart of the Sorian pine forests, the Hotel Rural Pinares de Soria is the ideal accommodation to be fully rented to groups of friends or large families. The Hotel is divided into 3 floors in which a total of 6 rooms, an apartment and 8 bathrooms are distributed. Ground floor with reception, toilet, bathroom, luggage room, living room, breakfast room and fully equipped kitchen. Through the living room there is access to a patio on the outside with garden furniture and barbecue. On the first and second floor are distributed 2 double rooms, 2 double rooms with possibility of extra bed, 2 double rooms with 2 beds with possibility of extra bed, and apartment equipped with 1 double bed, 1 sofa bed with capacity for 2 people, whirlpool and own kitchen. Pinares de Soria thanks to its privileged location is the ideal accommodation to stay and to visit La Laguna Negra, the Cañon del Rio Lobos, Los Picos de Urbión, Calatañazor, etc. In addition, you can perform multiple activities such as hiking, mushroom picking, Quads and horseback riding, Golf, skiing at the Santa Inés Snow station, and water sports at the Cuerda del Pozo reservoir. It has a full rental Rural House for (9 people), and a Rural Hotel for rent for rooms with a total of 3 double rooms, 3 double rooms with possibility of extra bed and apartment with kitchen for up to 4 people.